Although many parties wish the timeline for divorce could be reduced substantially, the reality is that the “wheels of justice” rotate quite slowly at times. Thus, in a suit for divorce, it is imperative that you come to an agreement with the opposing party or alternatively seek the court’s assistance in determining what relief can be granted in the interim between separation and a final judgment and decree. The issues that need to be addressed at a preliminary stage include child custody, visitation, support, and alimony. Matters such as equitable division of property can wait. However, mortgage companies, childcare providers, and the like generally do not have a “pause” button, and thus many litigants cannot wait for the seemingly sloth-like “wheels of justice” to turn. Courts recognize the need for immediate relief. Thus, Georgia law permits either spouse to request a temporary hearing where issues of child custody, visitation, child support, alimony, debts and possession of property may be resolved on a temporary basis until final resolution. In a sort of mini-trial, the court must order on the aforementioned issues to be effective from that date until the final trial. In temporary hearings, judges do not want litigants and their respective attorneys to “try a case” with tons of witnesses and exhibits. Rather, courts are cognizant of the fact that such relief is only temporary, and thus prefer to resolve such matters fairly but expeditiously. Given these considerations, and in accordance with Uniform Superior Court Rule 24.5(A), temporary hearings are limited to only the litigants and one additional live witness from each side. Parties are permitted to allow others to testify, albeit not in flesh but rather in the form of an affidavit. An affidavit is a written statement sworn to be true before someone legally authorized to administer an oath. Although litigants may characterize affidavits as less convincing than “real” in-the-flesh testimony, the use of affidavits cannot be downplayed. 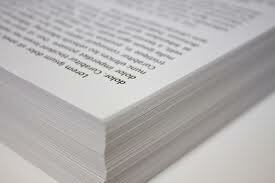 First, contrary to the skepticism of some clients, affidavits carry weight equivalent to that of “actual testimony.” Moreover, unlike live testimony, which can be challenged on cross examination by opposing counsel, the piece of paper cannot nearly as easily be contradicted. Thus, in some respects, an affidavit is actually superior to a person’s live testimony. Credibility cannot be questioned. Since affidavits are helpful as discussed above, and nevertheless, are often the only weapons to bring with you to the first battle (i.e., the temporary hearing), here are a few tips on how to successfully utilize affidavits in a temporary hearing. The affiant’s credibility is at issue. Ensure that affidavits are well written and contain support for any opinions or legal assertions. Just as an individual on the stand places his credibility at issue, a person who submits a document to the court also subjects himself to the court’s wrath. Although a judge cannot directly challenge a piece of paper, he can disregard it as not sufficiently credible to bear any weight in a hearing. For example, if an affidavit contains a number of misspelled words, poor sentence structure or grammatical errors, a judge will be prone to consider the affidavit less credible. Moreover, if an individual states opinions or sets forth legal conclusions without providing the requisite supporting details, a judge may not find such a document persuasive. For instance, an affidavit which asserts “in my opinion, Mr. Smith is a fit parent” does not carry near the weight as an affidavit which states the exact same thing but only after setting forth all of the reasons why the affiant has reached his or her opinion. To further ensure that your affidavits will be received favorably by the judge, your attorney should review the documents before they are ultimately sent to the court. Keep the affidavits brief, yet informative. Although it may go without saying given the above paragraph, an affidavit needs to provide enough details so that the judge can understand who the individual is, what basis they have for making the statements, and what, specifically, the individual is asserting. However, as also mentioned earlier, the reason for the affidavit rule is to avoid lengthy hearings at the temporary stage. Thus, ten-page affidavits are discouraged because litigant’s and their respective counsel are expected to respect the court’s time. Moreover, a concise affidavit is ultimately much more persuasive than an unnecessarily lengthy one. Do not submit contradictory affidavits. requesting is warranted. Thus, it is imperative that you and your attorney review the affidavits to ensure uniformity. Obviously, a judge will be confused and not very receptive of a multiple affidavits that tell contradictory stories presented from the same party! Affidavits from unbiased parties are most effective. When litigants learn that affidavits should come from persons they know well, many rely on close family members to provide such information. Although a well-written affidavit from your mother is entirely appropriate, a similar account from your nearest neighbor who is on good terms with your spouse may be even stronger. The judge will not be able to necessarily probe an affiant’s biases since that individual will not physically be in court, but the judge can use common sense in recognizing that certain individual’s testimony, such as close relatives, may be slanted. By following the advice in this article, you will better understand a few of the pitfalls associated with the use of affidavits at temporary hearings. The Use of Affidavits at Temporary Hearings in GA was last modified: December 14th, 2013 by Benjamin Porter, Esq.